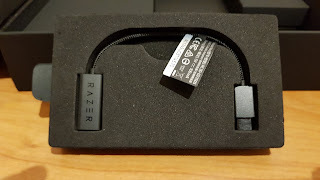 Razer phone by RAZER review. It's been an awful long time since I last wrote anything regarding reviews, BUT, I am now right back on it! 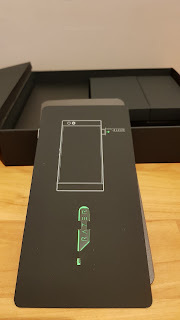 So, kicking off with my first review of 2018, we are going to take a look at the all new RAZER phone by RAZER. Razer are renowned all over the world for their awesome gaming laptops with serious power, and stunning graphics. So, they decided to put these defining characters in to a phone. 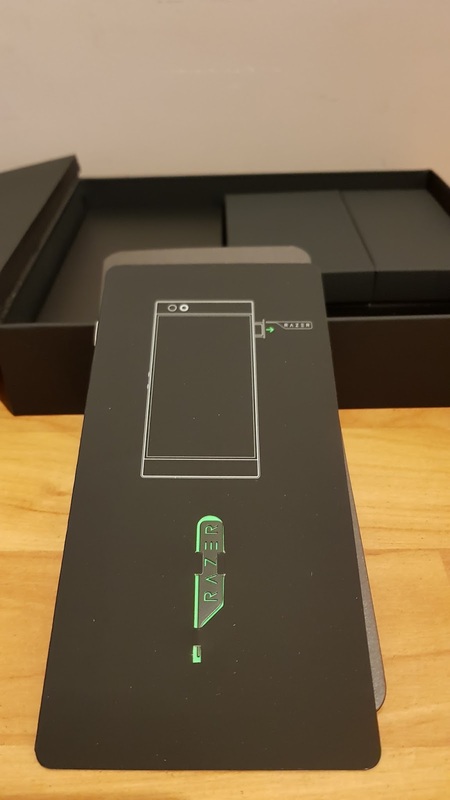 This is no ordinary, mainstream phone, oh no, this little beauty will give the likes of Apple and Samsung a run for their money! Lets start by taking a look at the dimensions. 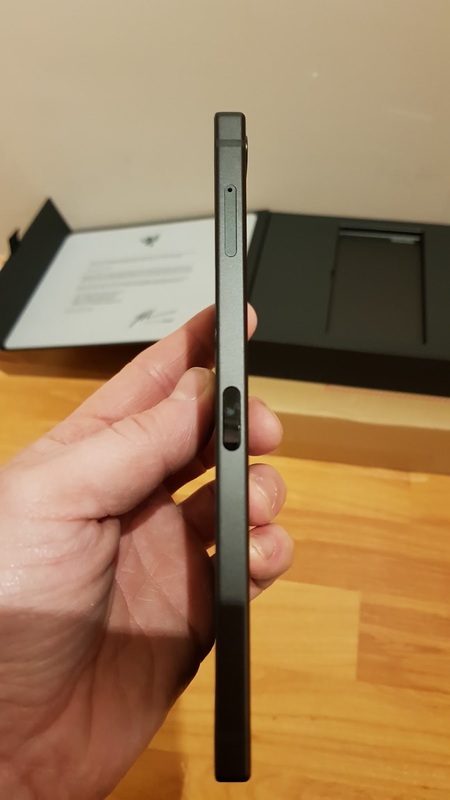 This unit measures up at 158.5 x 77.7 x 8 mm and weighs just 197g, which is nearly the same height as the Samsung galaxy S9+, but the width of the Razer phone is 4mm wider, to allow for a better gaming experience. 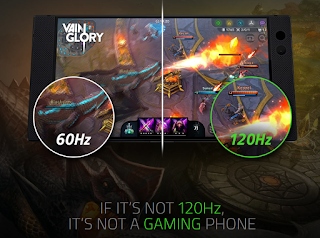 Speaking of gaming experience, most high end mobile devices now cope with most demanding games on the market, but the Razer phone has a little trick up it's sleeve..... the refresh rate comes in at double that of any other phone currently on the market......120 Hz UltraMotion™ screen! 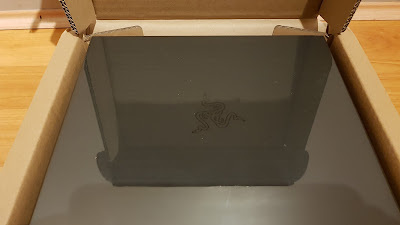 This allows for PC gaming smoothness and buffering, with ZERO glitching. To add to the ultimate Mobile gaming experience the guys at Razer added 'Dolby Atmos' and 'THX' certified audio, from approved headphones AND the speakers on the front of the device. 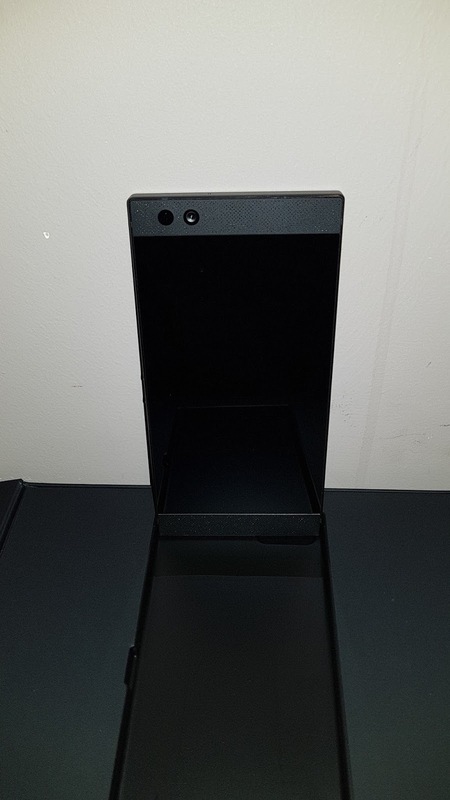 I honestly can say that I have NEVER heard such an immerse, finely tuned set of speakers in a phone EVER. Netflix HD on the Razer phone is 4K quality, but the Razer phone intensifies the experience with the Dolby 5.1 surround feature......god knows how they've managed to tune the speakers in the phone so it throws sound behind you, it truly is amazing...... amazing to the point I have now stopped using my Samsung S8+ because it simply doesn't compare. 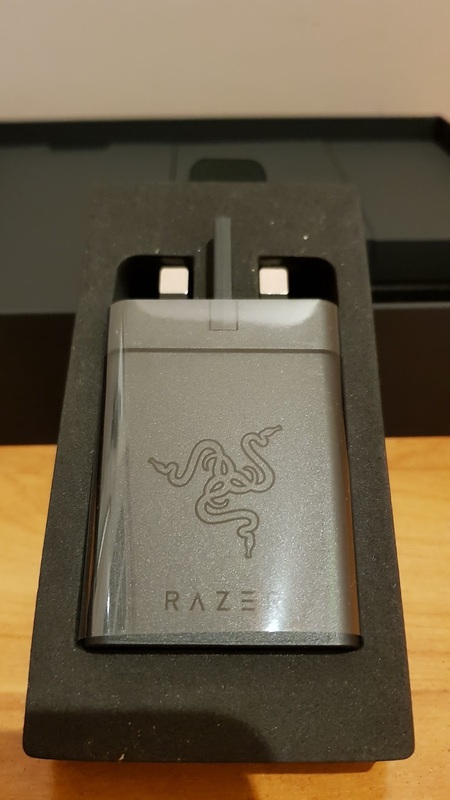 To help give you the best experience, Razer have installed a 4000mAh battery in to the phone. You can certainly thrash a battery on any phone when it comes to gaming or watching HD films, but the extra mAh Razer have stuffed in to their mobiles certainly maintains a longer gaming time. The computer processor is a Qualcomm® Snapdragon™ 835 Mobile Platform which does a great job of keeping things ticking,and with and internal RAM of 8GB dual channel (LPDDR4, 1866 MHz), its never hesitates. The display consists of 5.7-inch IGZO LCD 1440 x 2560, Wide Colour Gamut (WCG) and Corning Gorilla Glass to keep those graphics silky smooth. As this is aimed at gamers, it does suffer slightly on other features that other brands finely tune, like the cameras. 12MP on the front and 8MP on the rear, but they are both pretty bland....no special features, and not the greatest quality to be honest. 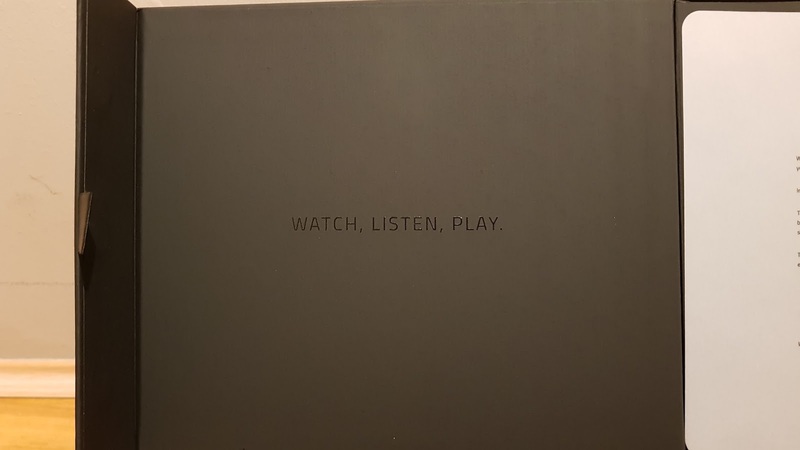 There is also a lack of a native music player and picture gallery, without having to go through google music and pictures, which is full of adds. 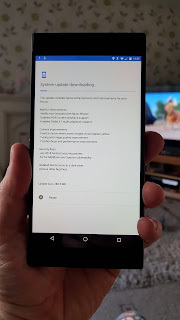 You'll have to add your own if you don't get on with the google features. The one thing that was physically missing from the phone was a headphone jack. 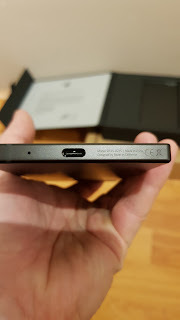 This phone is aimed at the use of wireless headphones, but does have a USB headphone adaptor plug should you feel the need to use wired phones. So all in all, if you're looking for a super fast, feature packed, mini monster gaming machine within a phone, then you'll never find a better handset than they Razer phone. BUT, if you want the 'run of the mill' handset, then go with the rest of the sheep and get a Samsung or Apple device! 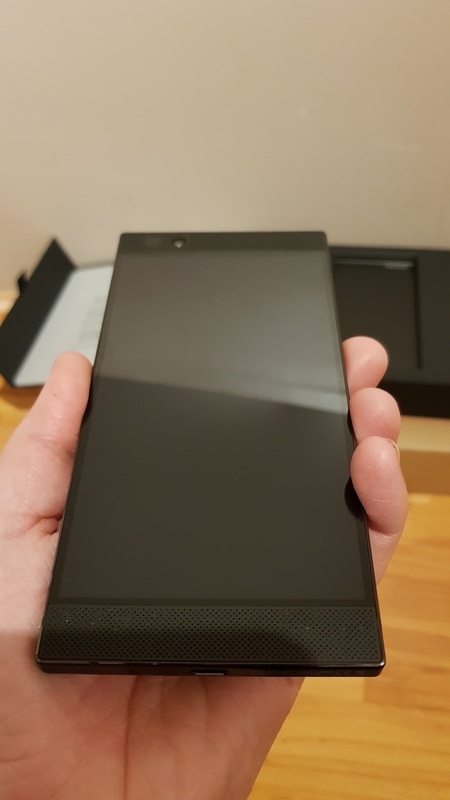 The Razer phone is an awesome machine, and for the companies first venture in to the mobile market, they've done themselves proud. 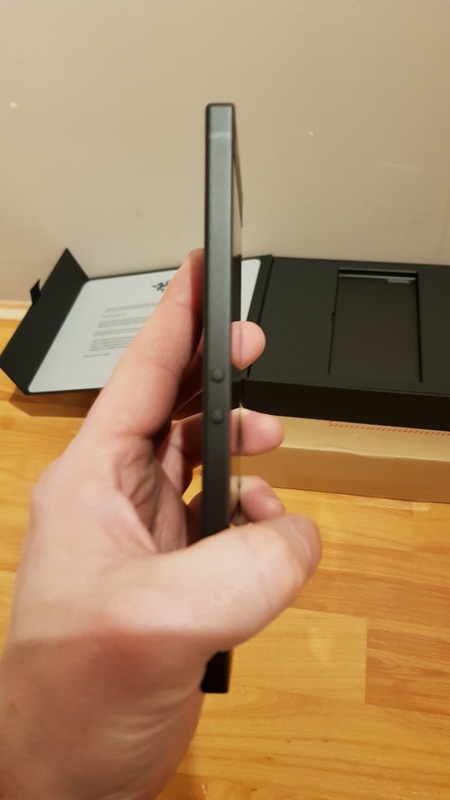 You can grab this phone exclusively on 3 network in the UK, and other providers world wide. 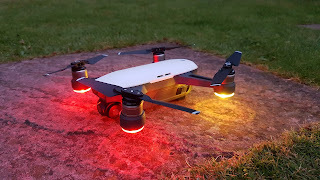 The spark is currently DJI's smallest contender, that gives it's users a taste of it's larger siblings like the Mavic and Phantom series drones. It still comes complete with some amazing features like collision avoidance, and sports mode, but what still makes it a winner is it's micro size coming in at 143×143×55 mm and weighing just 300g!....it's the ultimate stealth rocket! 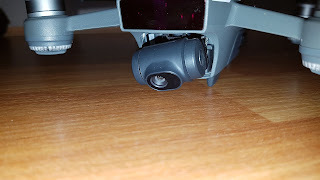 The collision avoidance isn't as advanced as the Mavic but does still do an amazing job of 'seeing' objects up to 5M away, and will fully activate if on a RTH mission. In Sports mode, the spark will give you a maximum speed of 30mph (virtually no wind), which considering the micro sized brushless motors, is amazing. There's so much that DJI have packed in to this handheld super drone, they've really made an 'all round' drone for the average user. Obviously it's no pro, BUT, where it counts the most, it'll perform just as well as the others. It'll film in 1080p, and take 12mp photos. 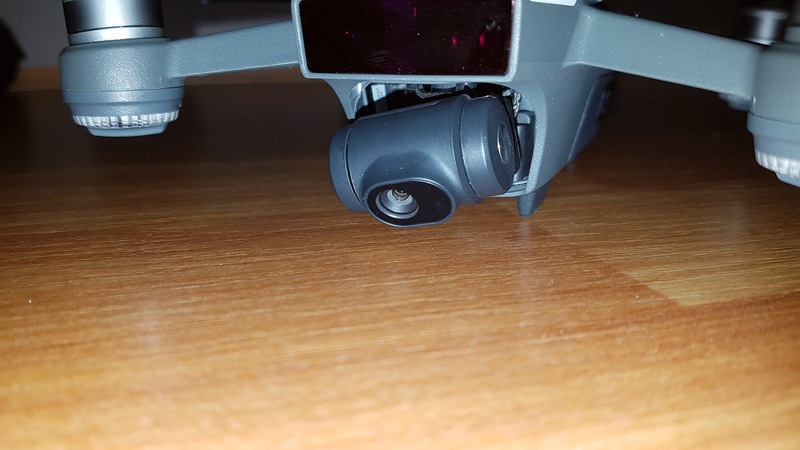 It will also stream to your device in 720p, which is ideal for the user to see where the spark is. 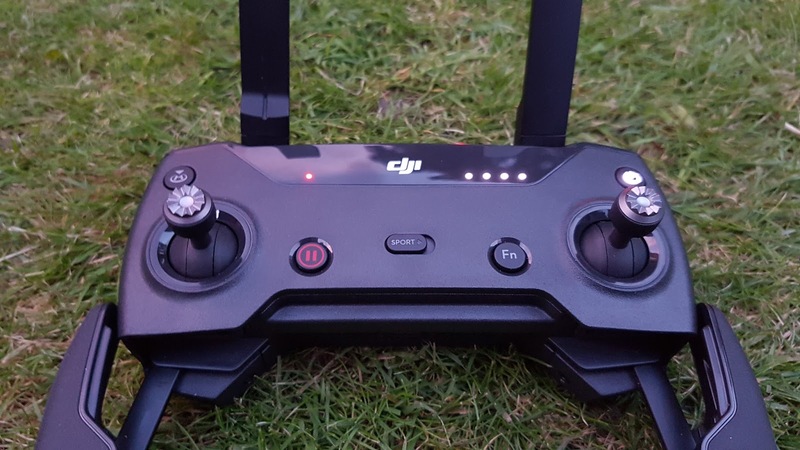 Palm control is activated by turning on the spark and allowing it to finds its GPS points, then by holding it in your hand at arms length, looking directly at the gimbalised camera, and pressing the battery twice. It'll then recognise your face and arm the motors. Once the power is sufficient, then you let go! Place your palm about 2 meters from the spark, and hold your palm open at the camera. The lights will flash green to confirm it has seen your hand. 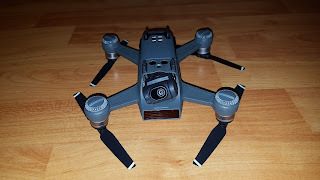 From this point you can move the drone with the movement of your hand. If you wave at it, it will ascend backwards and start tracking you. You can use a series of gestures to control the spark. 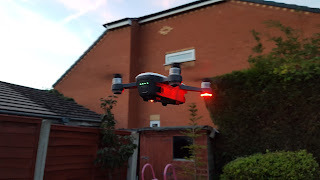 4-Transmitter tethered to mobile device. This little trick will enable a far greater range. Tethering my handset to my mobile device has allowed me to see a 638m distance, which via wifi is tremendous! Obviously, that range will depend on where you intend to fly from. To get any decent range, it should out in the open and unobstructed, and obviously local laws should be abided by. 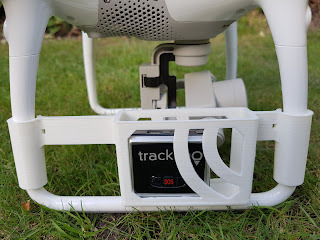 You'll still get great gimmick features like, follow me, active track, and POI which is pretty standard with DJI these days.... but remember this is a huge amount to stuff into such a tiny frame. 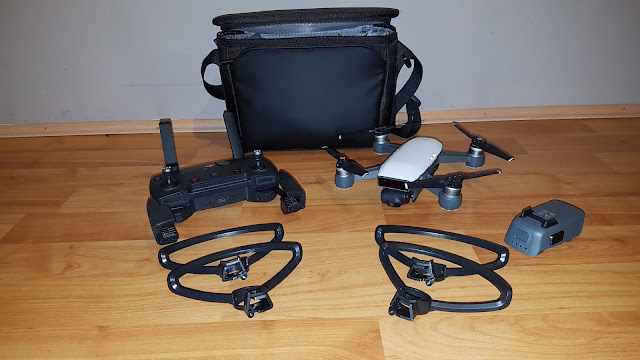 The fly more combo, will give you an extra battery ( which sees running times of up to 15mins), a carry bag, prop guards, charging ancillaries(hub), and spare props. 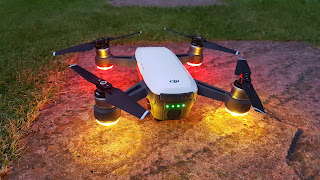 This will cost you around £698 but if you want to just go for the spark, then it'll set you back around £519. Overall, I do think the spark is a bit over priced, but all DJI gear is because they control the market, however, this a great piece of kit with character and versatility, that all the family can enjoy. 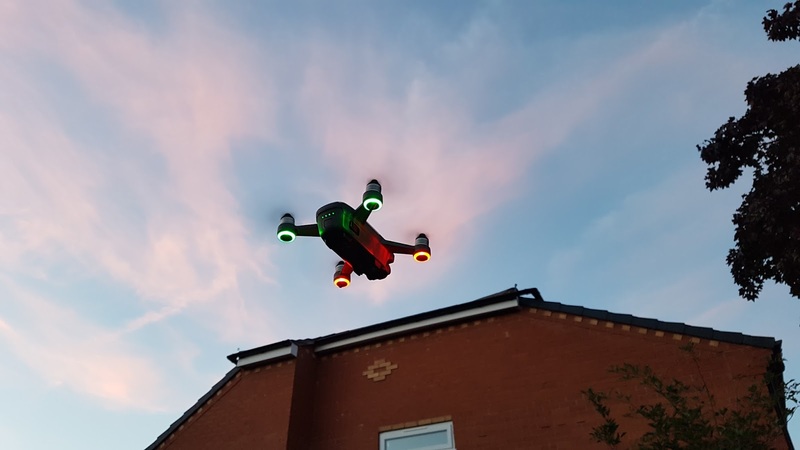 It is claimed on the world wide web, via forums, clubs, and public notices that approximately 65% of drone users who lose their aircraft never recover them. 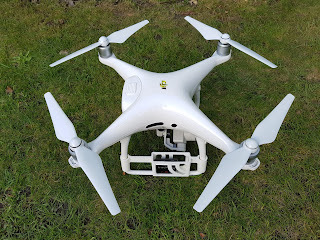 That is a huge number of drones just sitting there, out in the open, exposed to the elements.....so how amazing would it be to be reunited with your gear? So, how can we combat this? 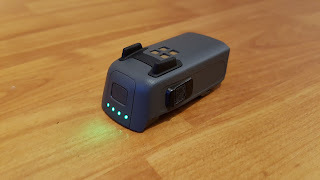 Well, one option (and the most feasible) is to mount a GPS unit on your aircraft. There are some cheap options out there which will do the job, but remember you get what you pay for, and you may end up with a unit that'll give you false readings. It's always wise to spend a little more and choose a unit that has a live tracking option. 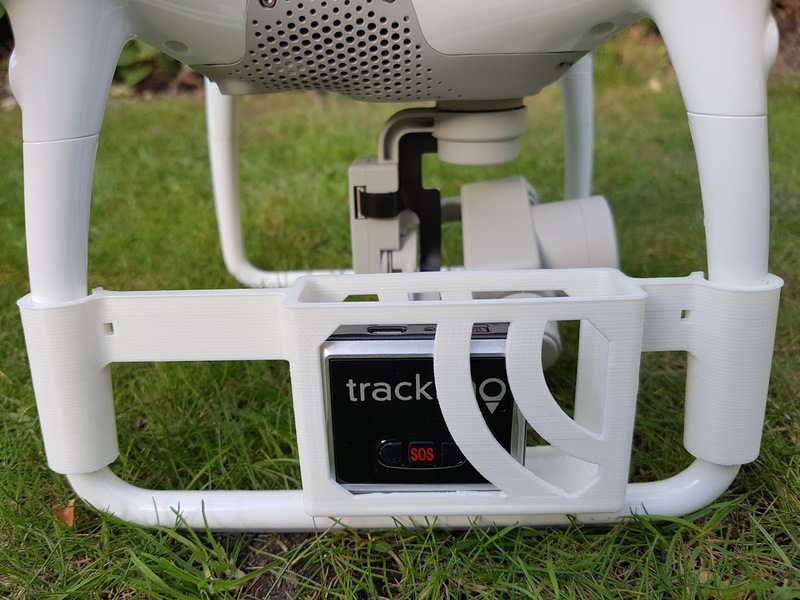 The Trackimo GPS unit is the perfect example to help safe guard your UAV. 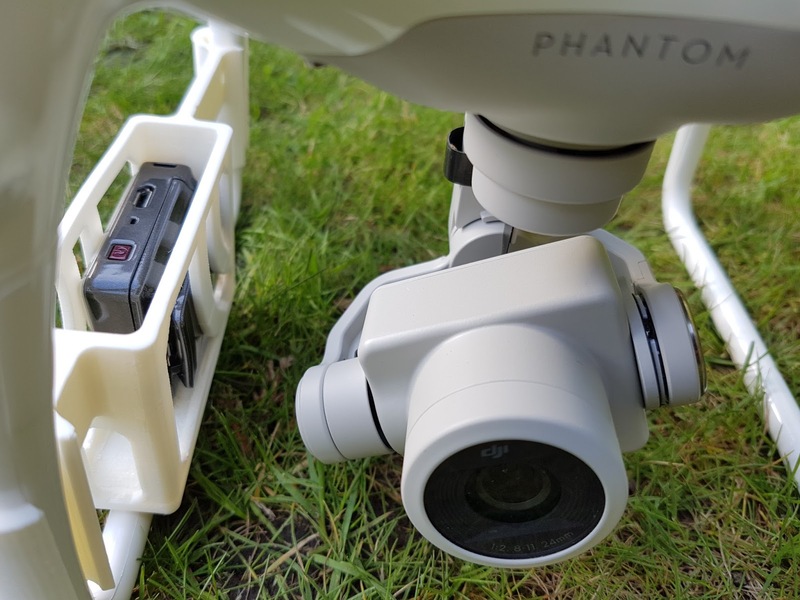 The unit measures just 40x47x17mm and fits into most 3D printed cradles you can purchase off Ebay, or you can of course, secure it to the drone with Velcro. 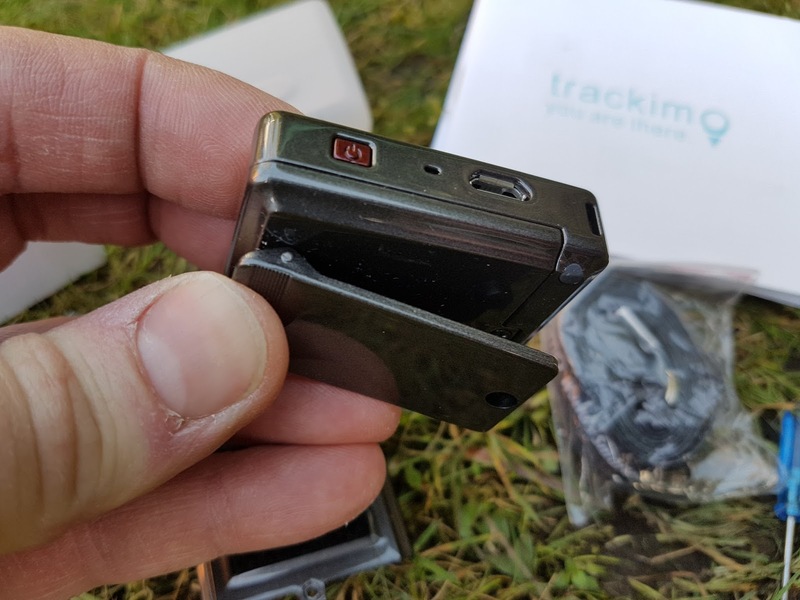 Once you've registered yourself as a user via the Trackimo website, you will need at activate the unit, and voila!.....it'll be linked to you and will supply you with a GPS reading with a cellular network back up! You can live track the unit on the website or via the app to give you real-time tracking intervals ranging from 1 to 120 minutes enabling you to fine tune your relayed information. It will also give you notifications by text, email or both, informing you it's on the move, or it has stopped. If it stops for a long period of time, the Trackimo will go into sleep mode to preserve the battery life, which can last up to 48hours on the 1 minute tracking mode, and up to 2 weeks on the 120 minute setting, which is much more than most other trackers. 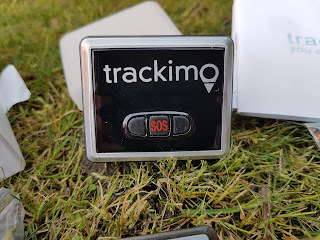 Of course, you can still get a signal from the Trackimo in sleep mode, so if the unthinkable happens, it will still give you a pin point location of it's last known whereabouts. The package comes with a waterproof rubberised case, and a waterproof rubberised case, aslong with a bettery and USB charger. 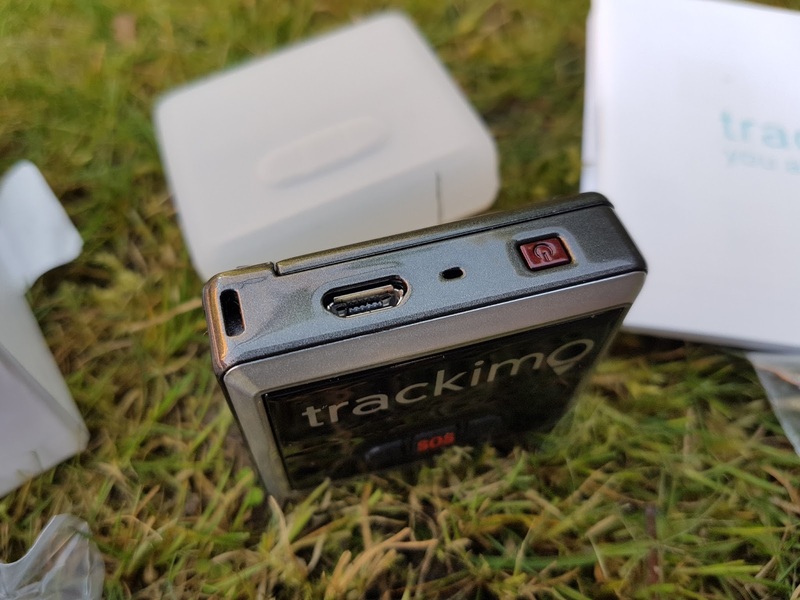 The tracker supports both IOS and Android platforms and has a tailored App for each, in which you can keep tabs on the trackers history, routes, and motion notifications. You can fine tune it to give you more or less info depending on your usage application, as you can use this for a variety of things. Using it on the DJI Phantom 4 pro for example, you would ideally want to see every last detail in the info settings, and allow it to relay the stats back to you as your flying. 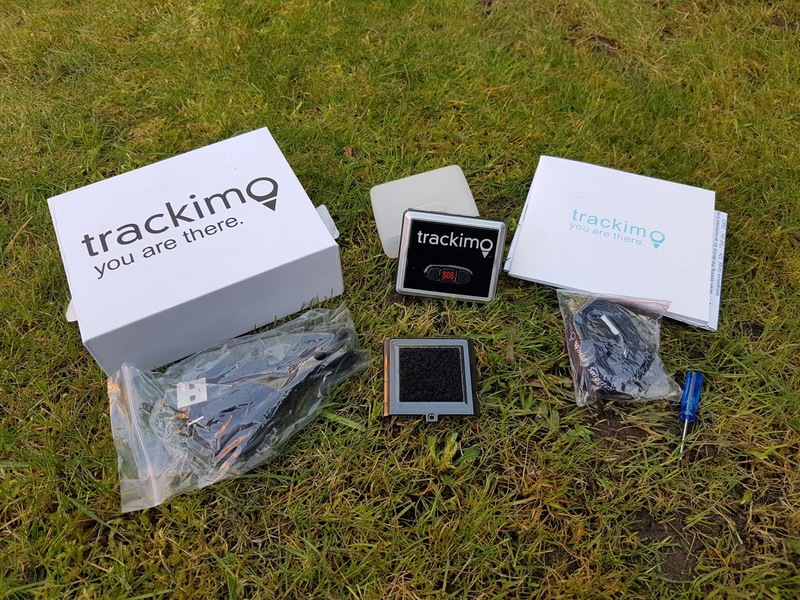 You can purchase the Trackimo for a reasonable price of approximately £84 with a full 12 months subscription to your live cellular tracking. Once you've used up the 12 months, you'll need to renew the subscription at a cost of around £5 per month, which is a very cheap alternative to losing your UAV....it could make a huge difference in safeguarding your equipment. There are plenty of options to choose from via the Trackimo website, from a standard subscription after a free 12 months coverage, to a lifetime subscription for a one off fee of around £210.